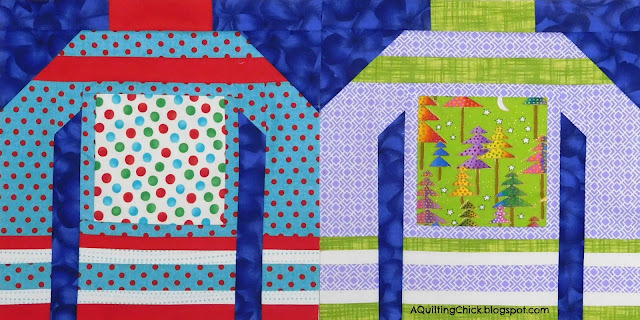 A Quilting Chick: So Much Going On in the Sewing Room! So Much Going On in the Sewing Room! I truly love this block. This quilt is going to be for my brother and sister-in-law. They have 3 children and lost their first so this truly seems to represent their family. It makes me smile. :) We are finally starting to get an idea of what it will look like when it comes together! 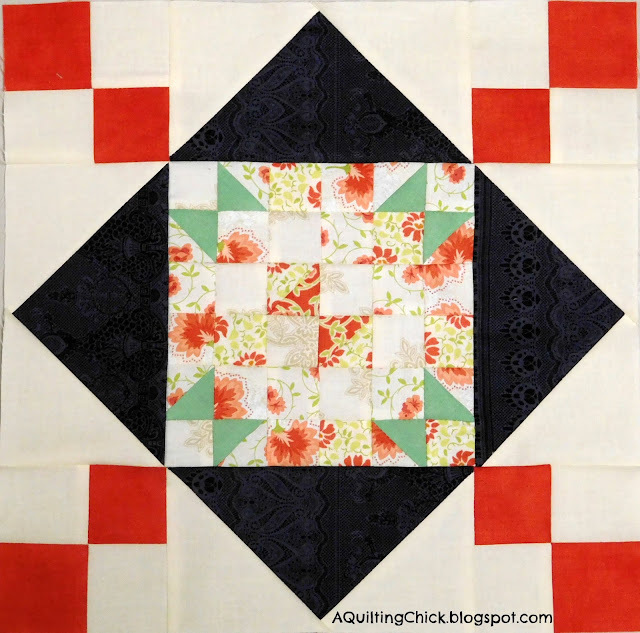 I'm having a blast with this quilt along. I can't wait to see it finished in a few months. Thanks again Lorna for a fun design. So what have you been up to? I'll be linking up at Design Wall Monday at Patchwork Times, BOM's Away at What a Hoot, Main Crush Monday at Cooking Up Quilts, Design Board Monday at Bits and Bobs, Monday Making at Love Laugh Quilt, Fabric Tuesday at Quilt Story, Freemotion by the River for Linky Tuesday, and Sew Cute Tuesday at Blossom Heart Quilts. 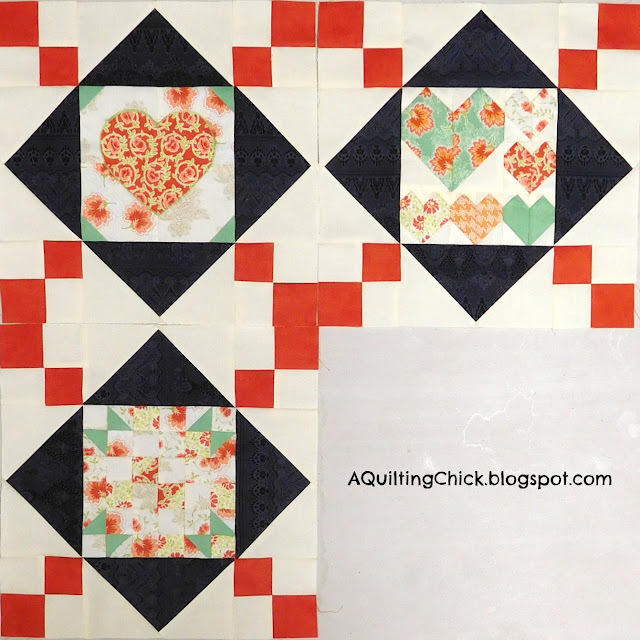 Love how you are doing The Splendid Sampler blocks! I was waiting till the end to decide but knowing ahead of time and starting as I go would be so much smarter. 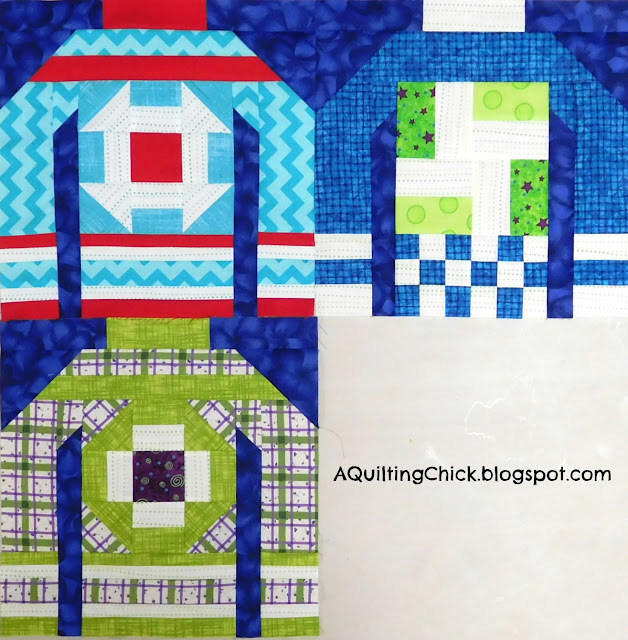 I adore your ugly sweater quilt.... Looking forward to more progress! You have been busy with some really fun projects! Love how different they are. Wow, so much creativity in one post! I love your sweaters. That's just the cutest idea, and I wish I'd started it, but I'm so far behind now - and I have too many things going on anyway. 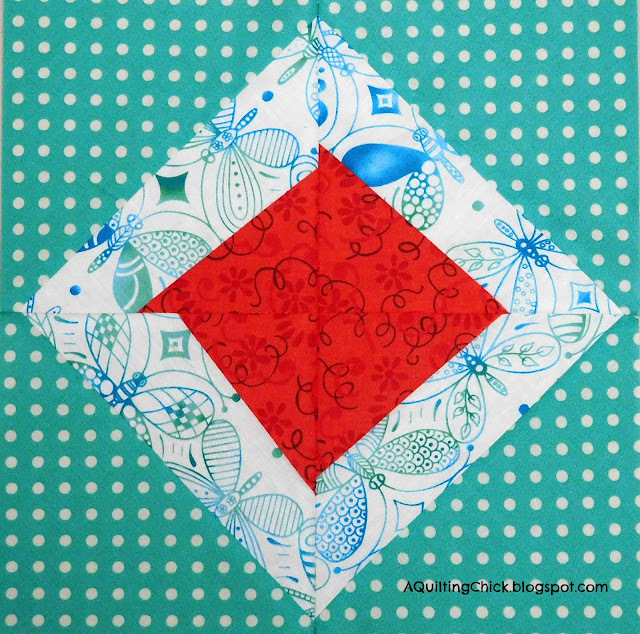 I do love the setting you are using for the Splendid Sampler blocks. Your 365 is moving along nicely. What bothers you about the leaf block? Haha! The Ugly Sweaters project tickles my funny bone. 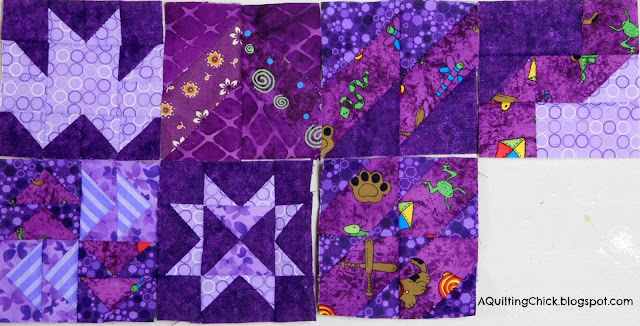 :D Can't believe how much good stuff is here with these different quilts. 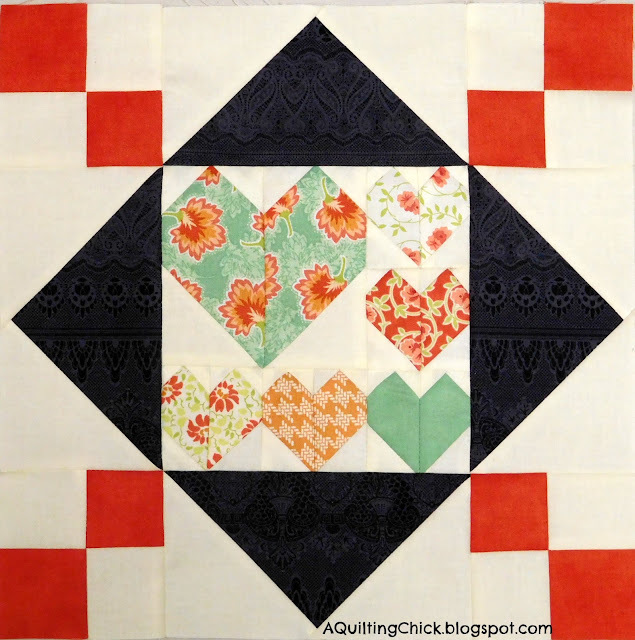 I really, really love that block 3 for the Splendid Sampler.